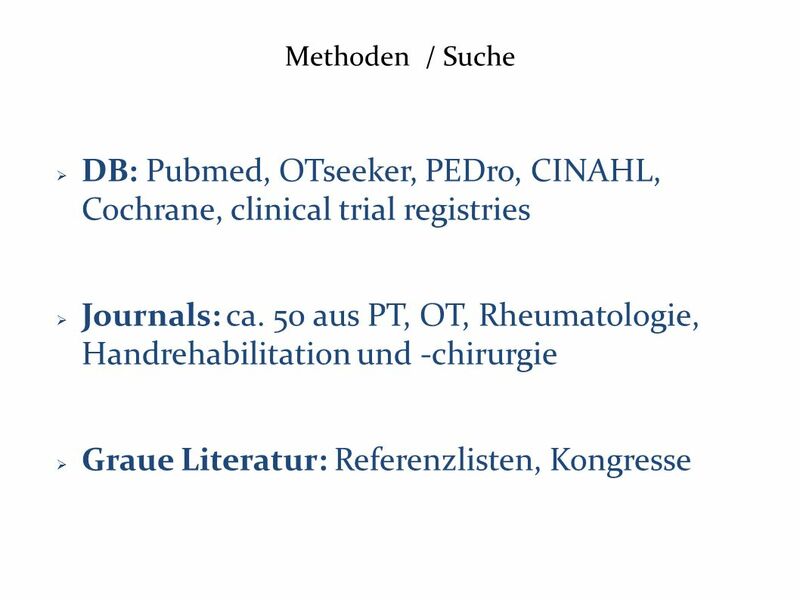 2 Bernhard Aebischer, Simone Elsig, Jan Taeymans Publikation…. 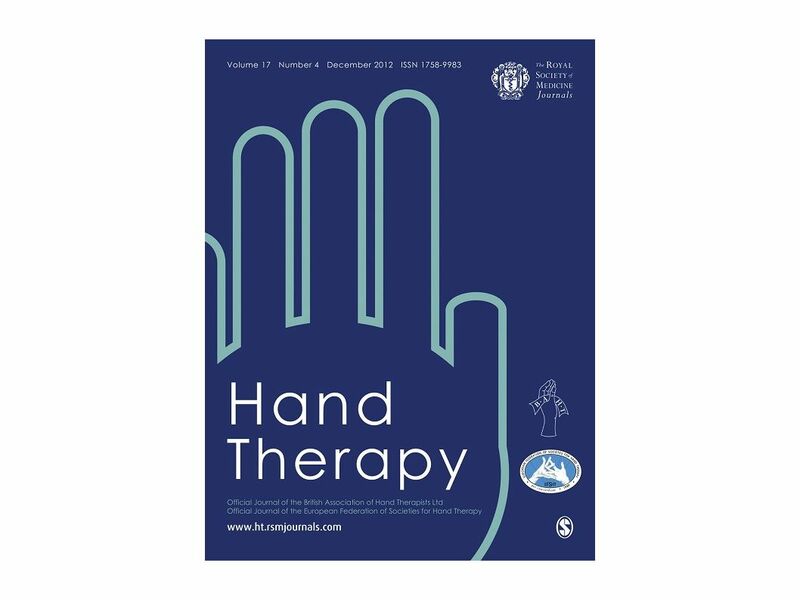 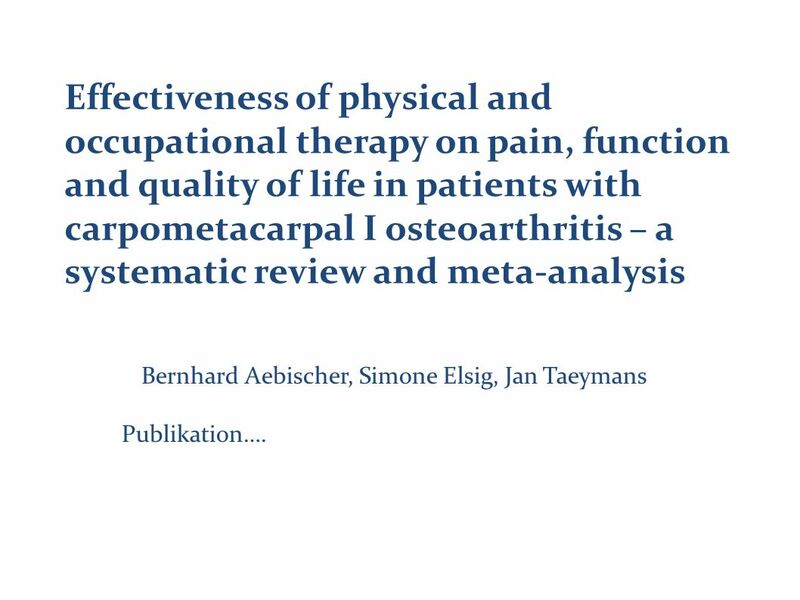 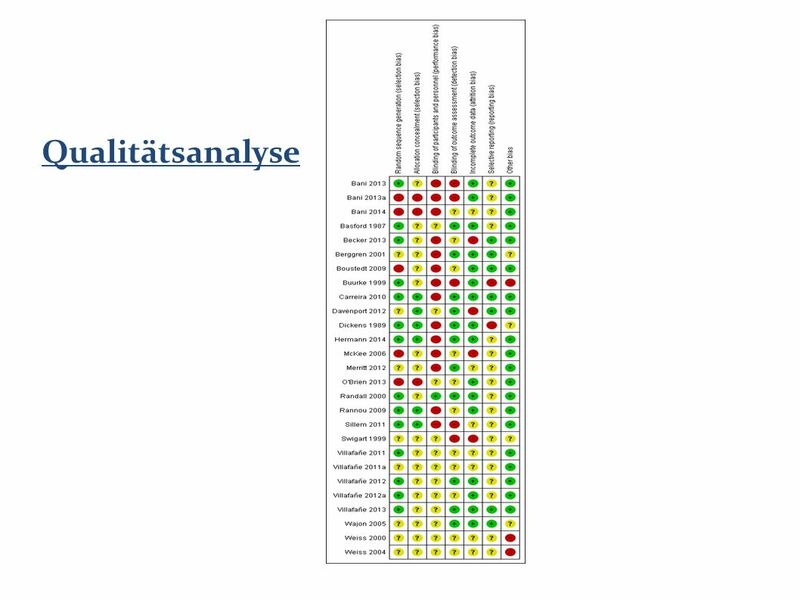 Effectiveness of physical and occupational therapy on pain, function and quality of life in patients with carpometacarpal I osteoarthritis – a systematic review and meta-analysis Bernhard Aebischer, Simone Elsig, Jan Taeymans Publikation…. 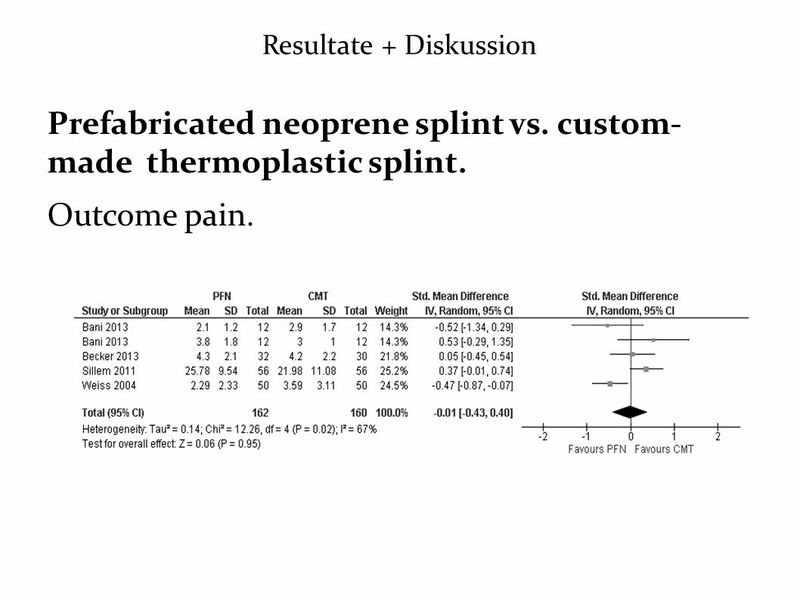 Prefabricated neoprene splint vs. custom- made thermoplastic splint. 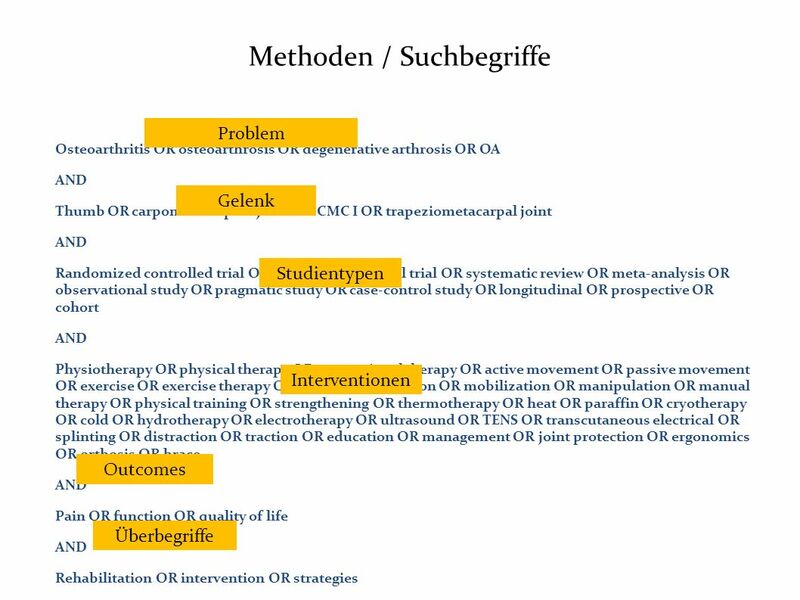 Outcome pain. 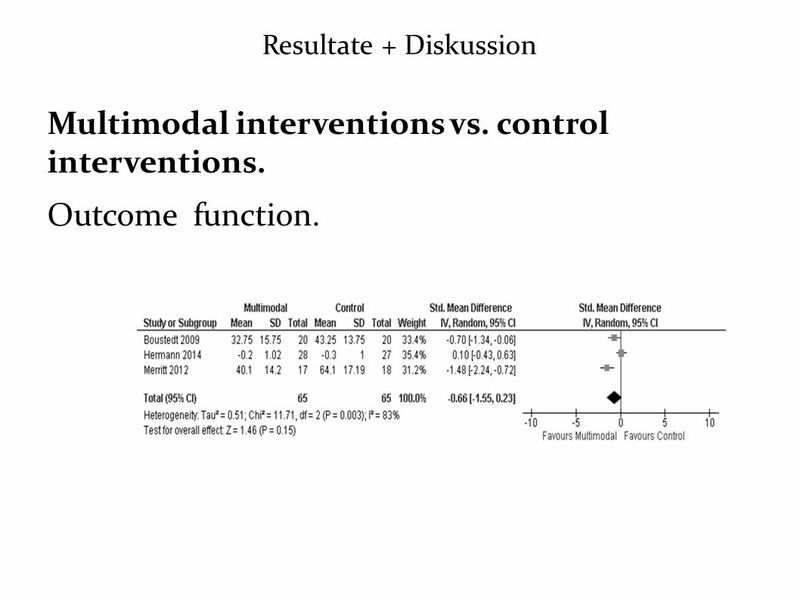 Multimodal interventions vs. control interventions. 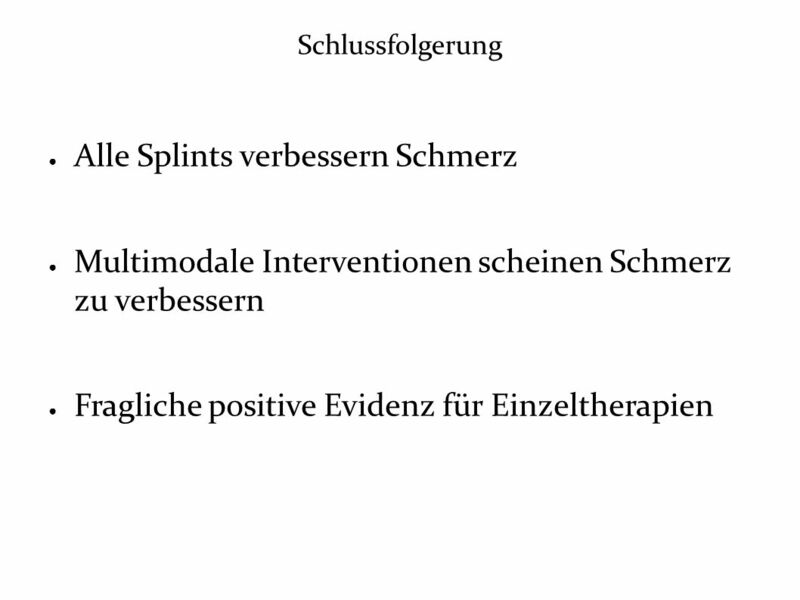 Outcome pain. 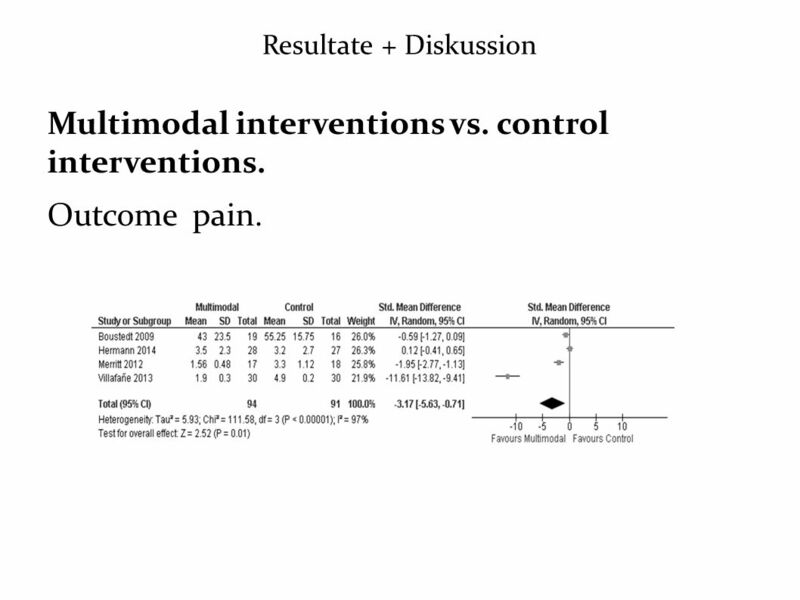 Multimodal interventions vs. control interventions. 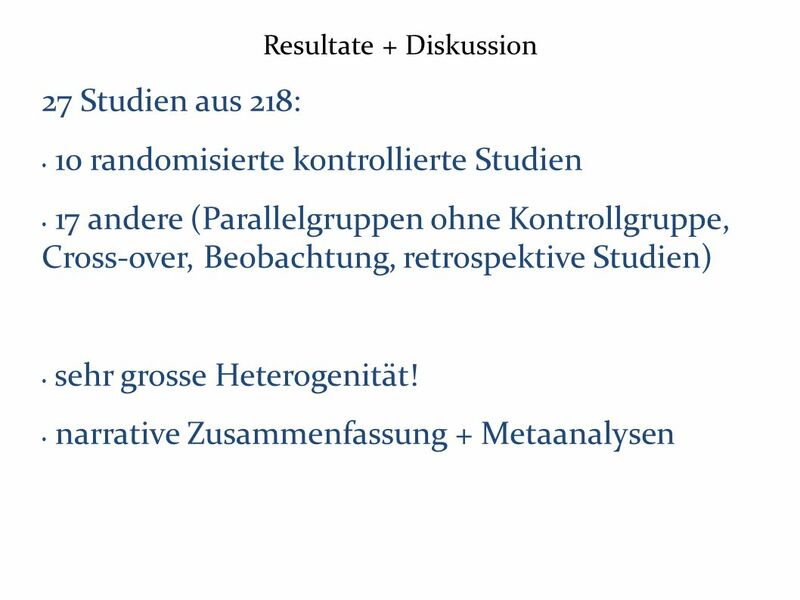 Outcome function. 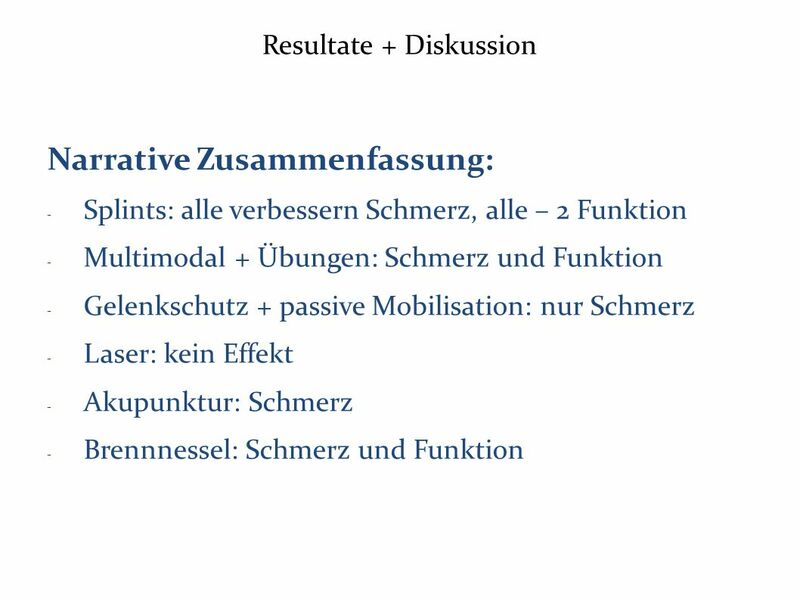 Multimodal interventions. 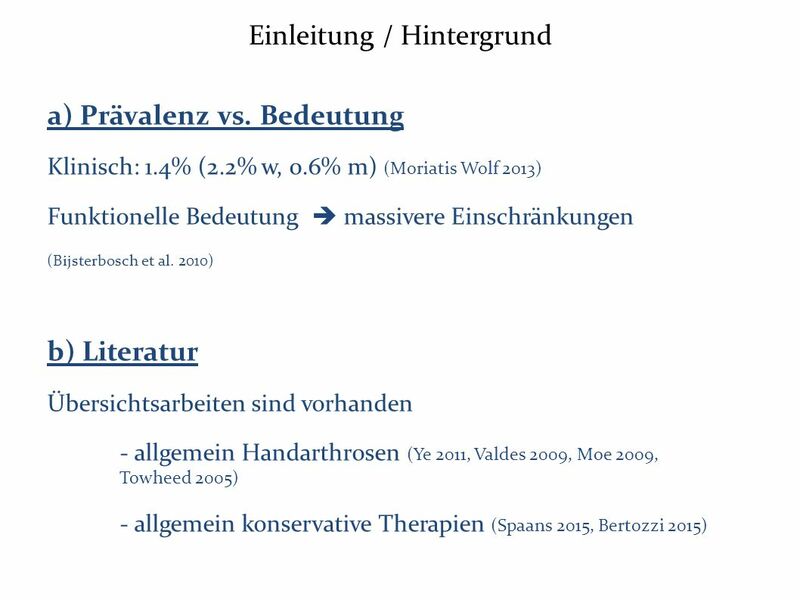 Pre- and post-intervention comparison. 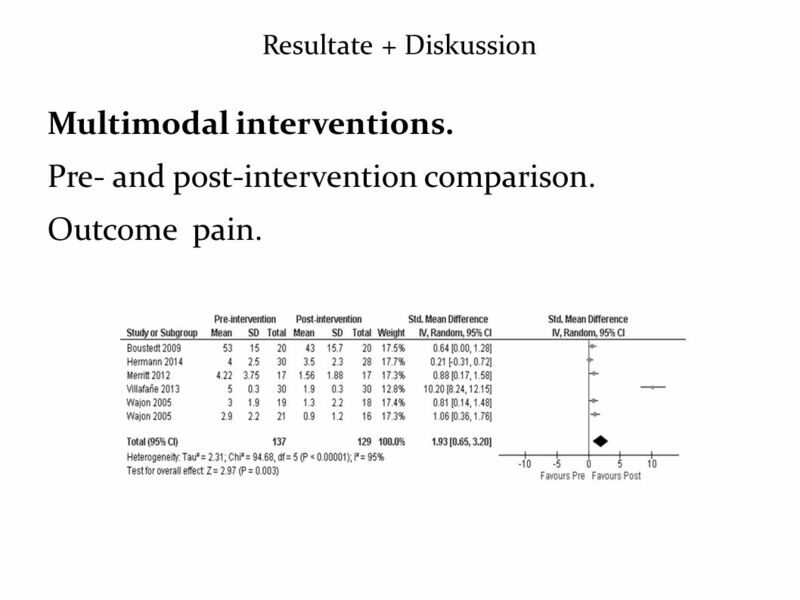 Outcome pain. 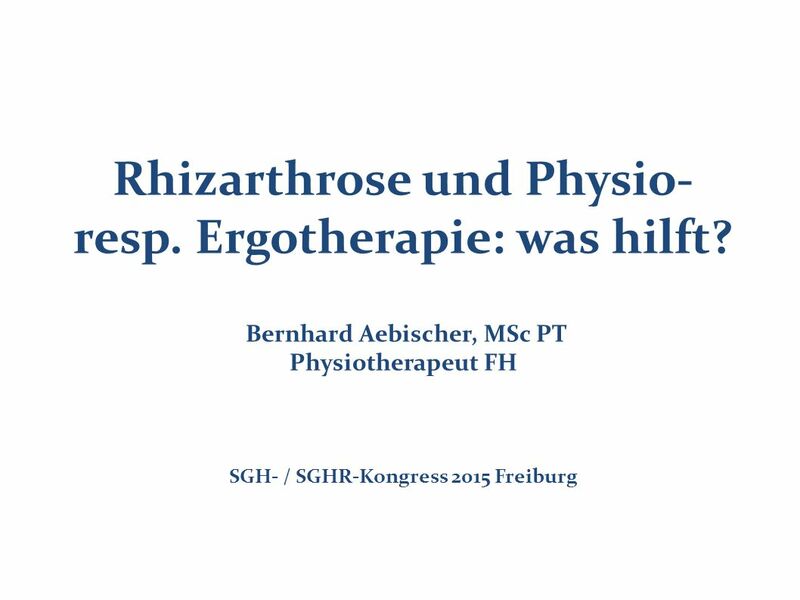 Herunterladen ppt "Rhizarthrose und Physio- resp. 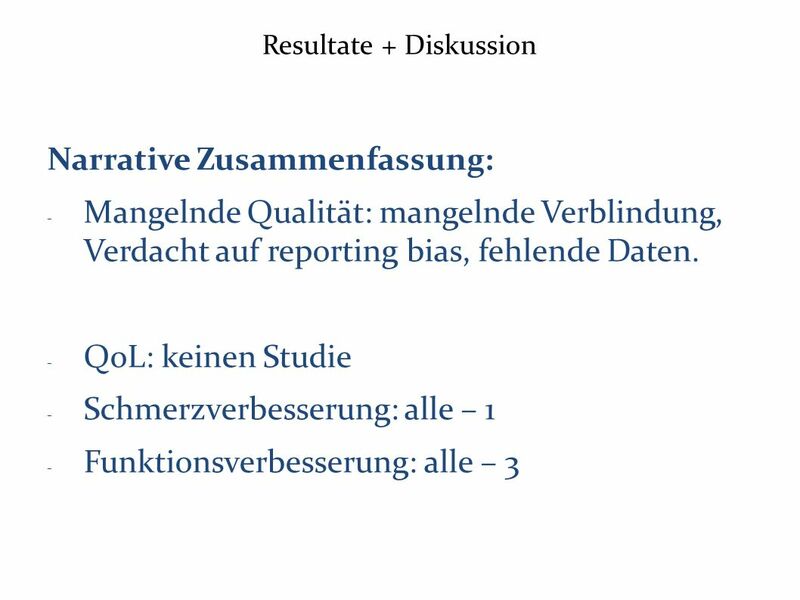 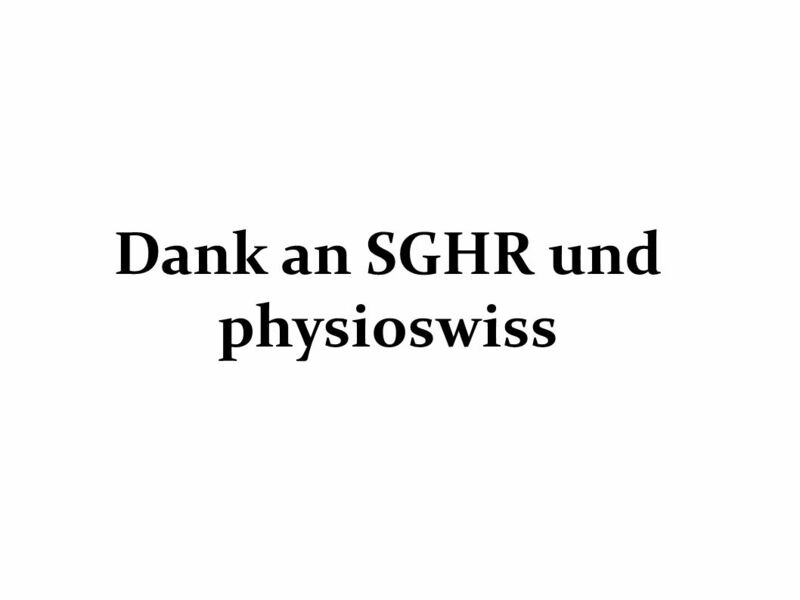 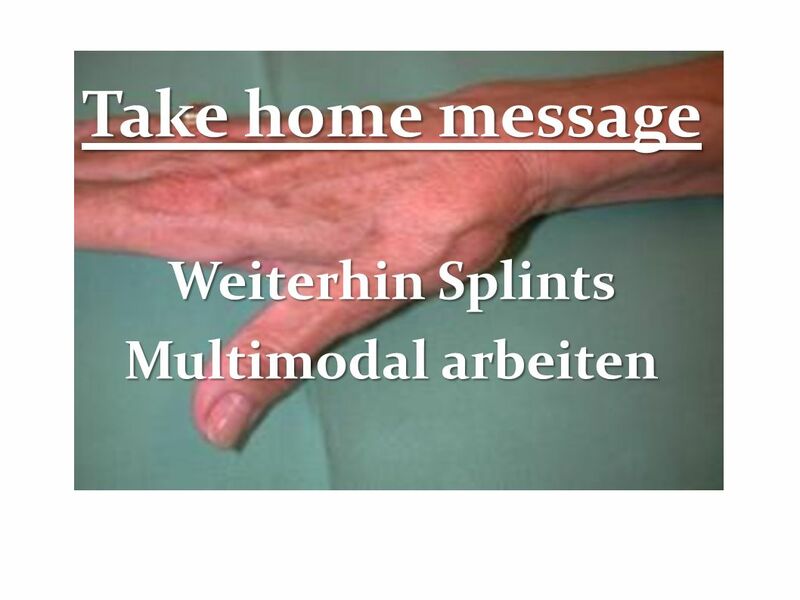 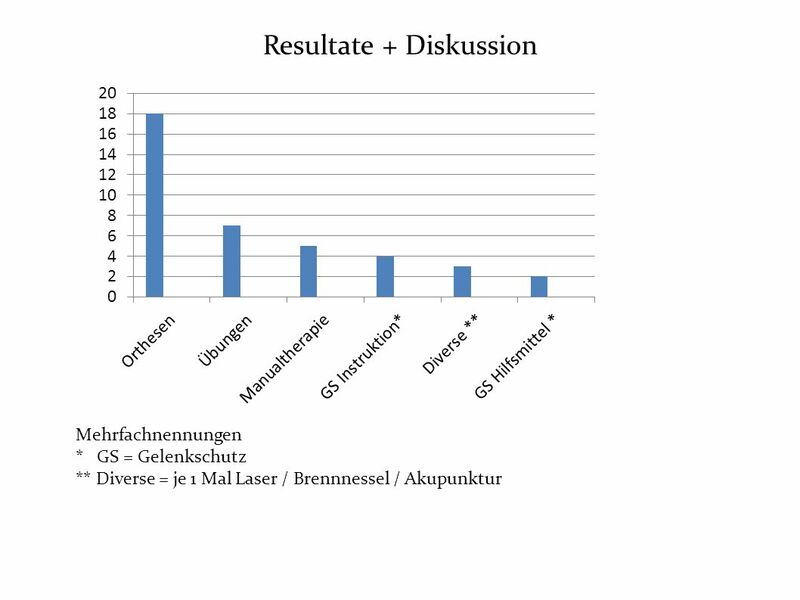 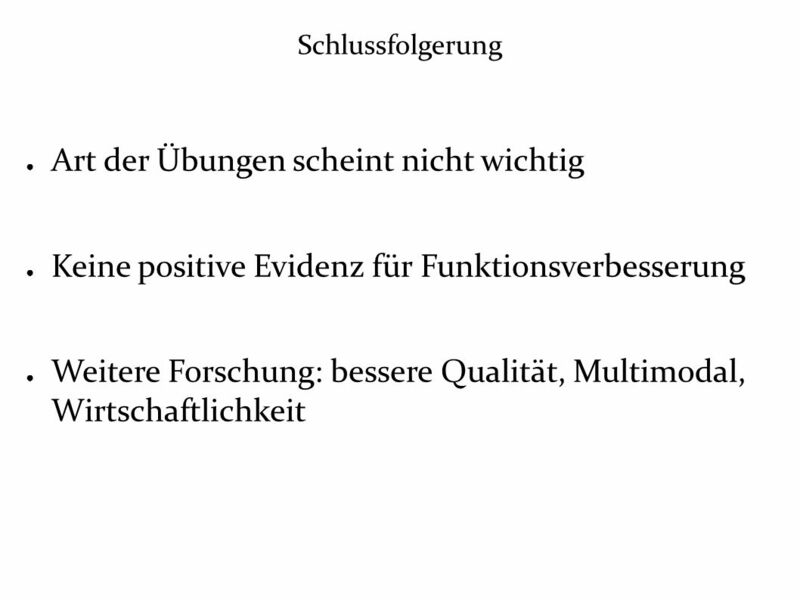 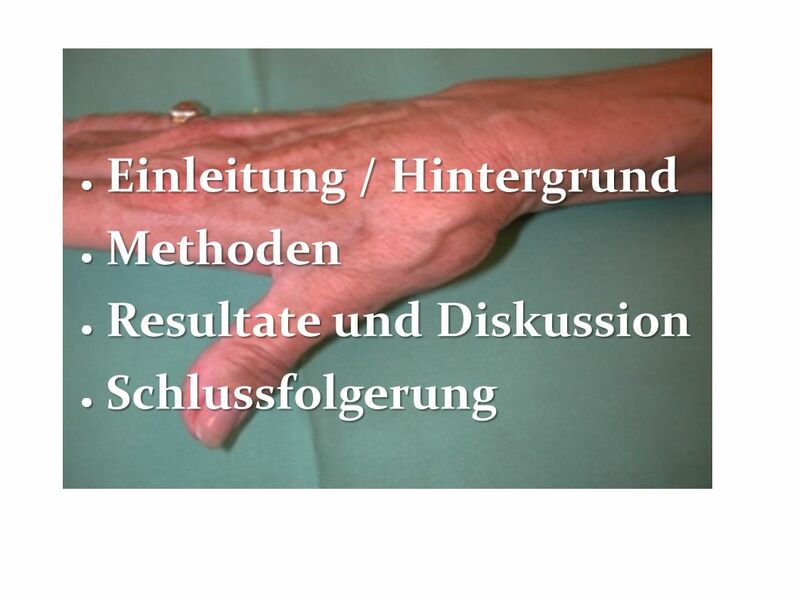 Ergotherapie: was hilft"
Qualität in der Geriatrie und Gerontologie Folie 1 Effects of audit and feedback on professional practice in Geriatric Acute Care Units, European Journal.